Change The Way You Apply Your Makeup. 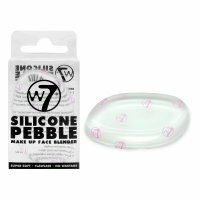 Change The Beauty Game With Our Very Own W7 Silicone Blender. Apply Without The Worry Of Foundation & Concealer Being Absorbed Into The Product, Less Waste More Glam. Easy To Clean & Therefore Easy To Keep Your Skin Fresh.